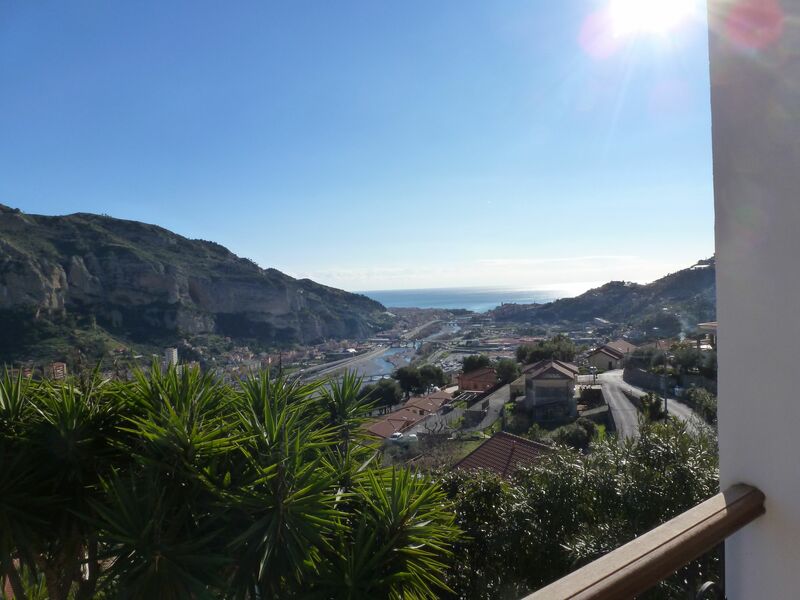 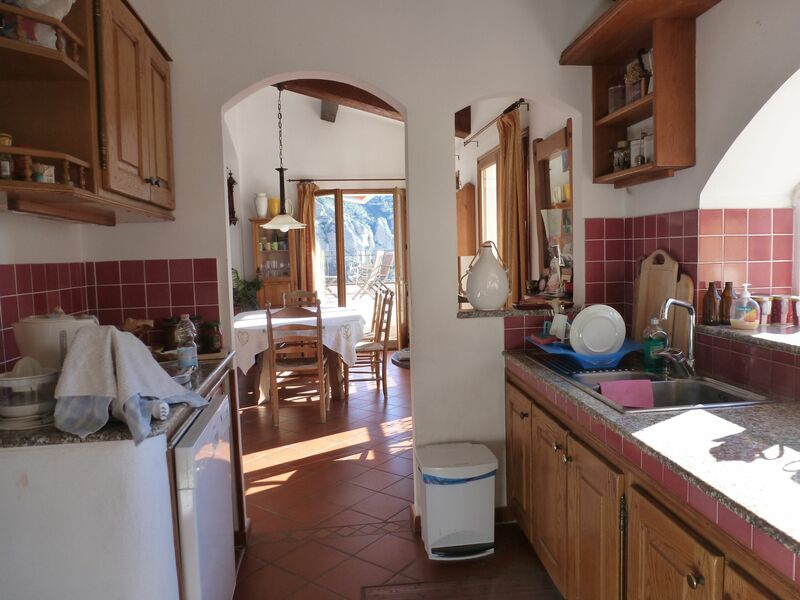 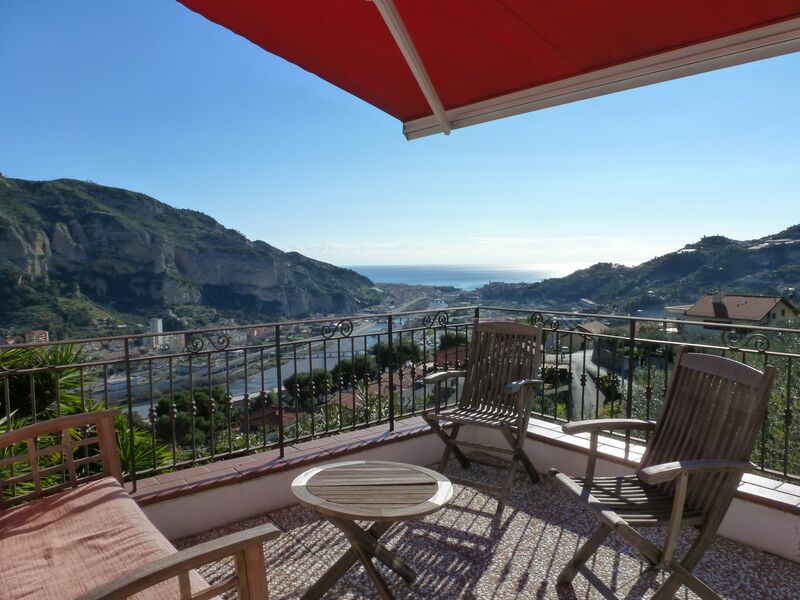 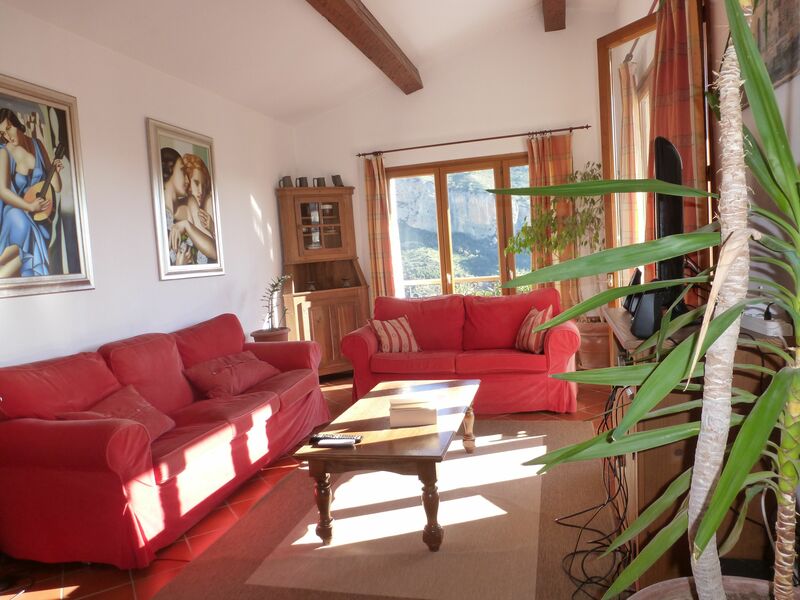 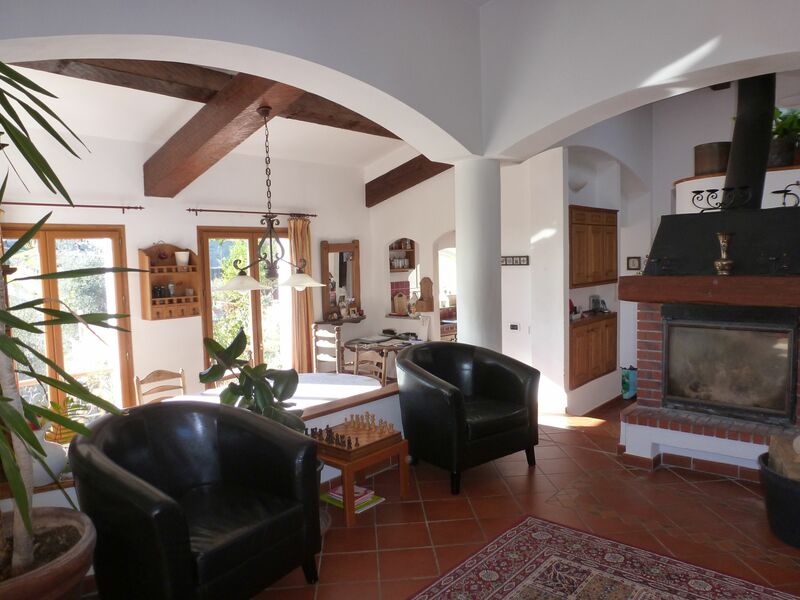 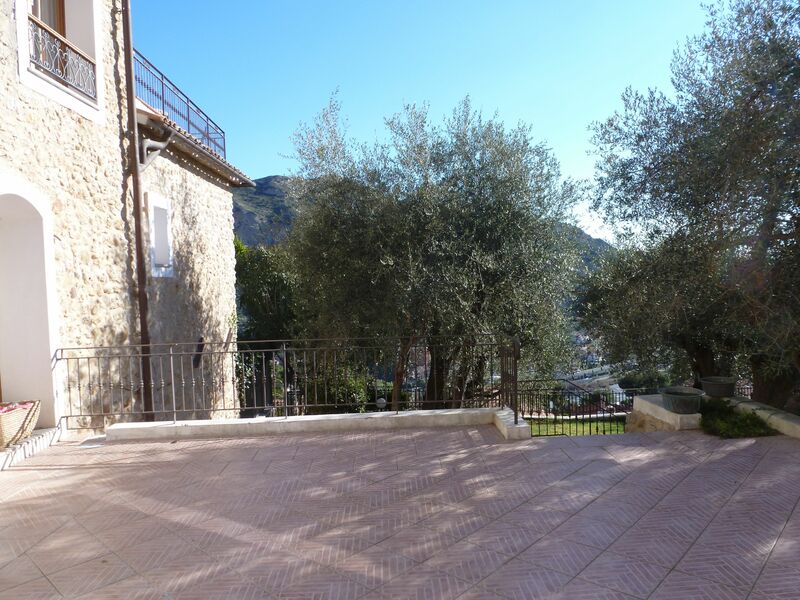 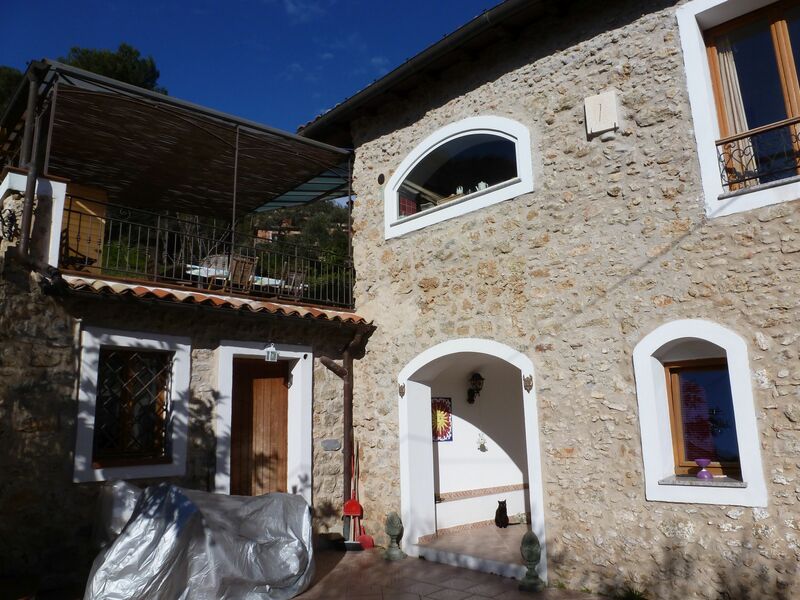 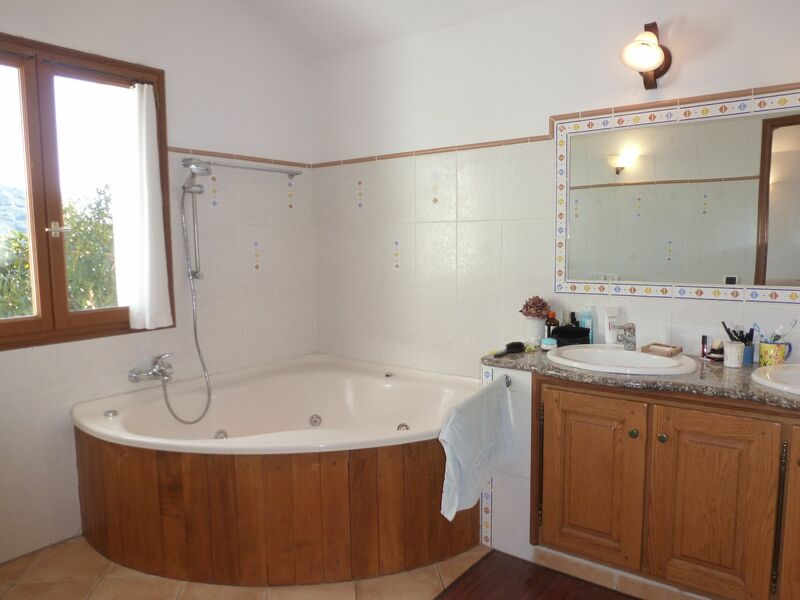 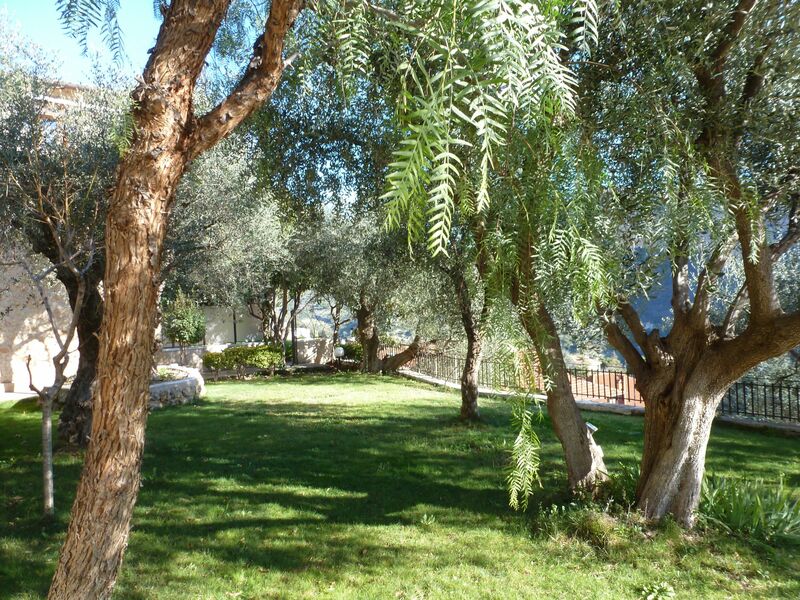 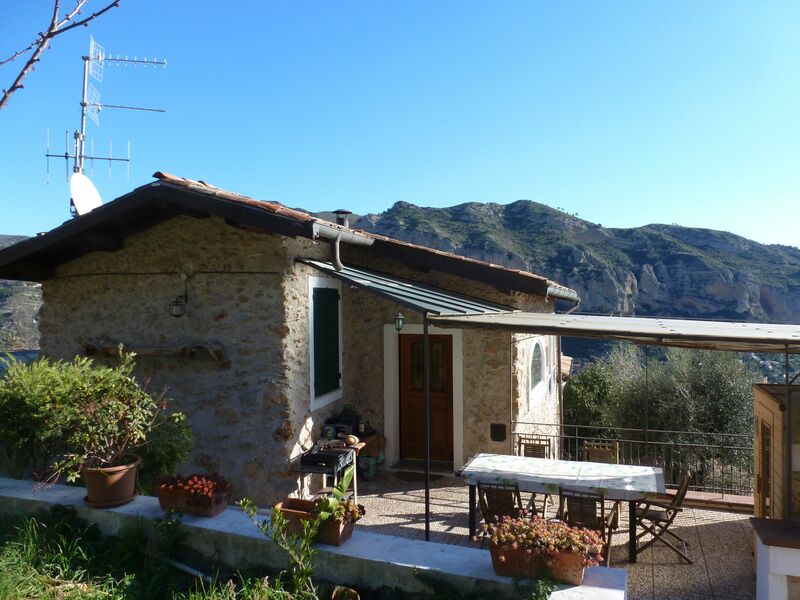 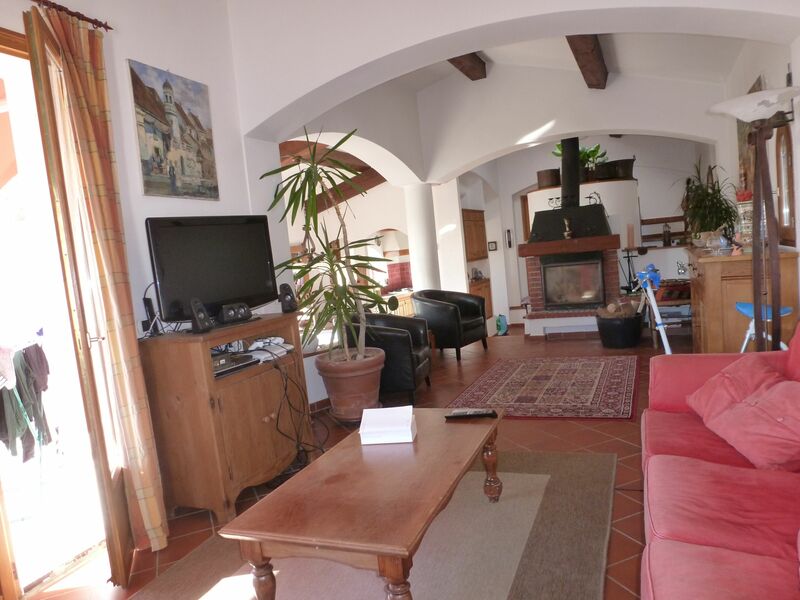 On the hills of Ventimiglia, at only 3Km from the sea, charming stone house with sea view and 2000m2 of land. 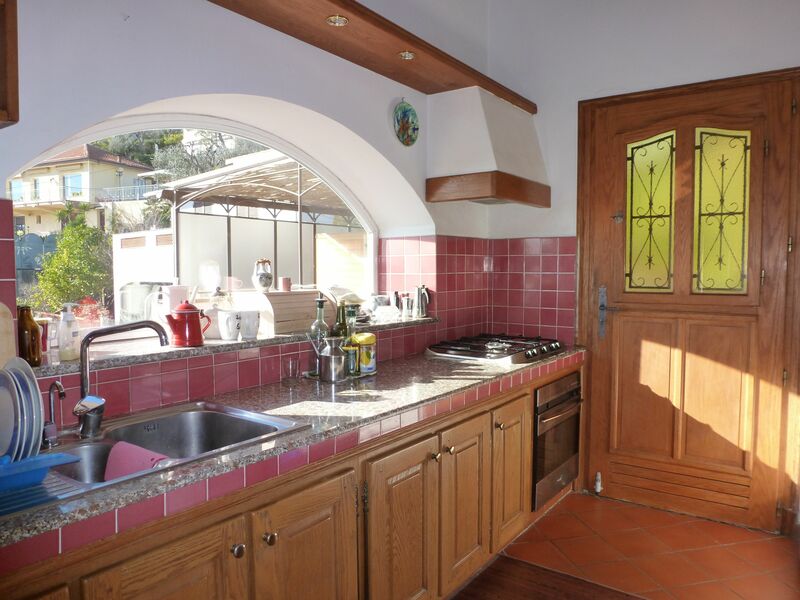 The house offers a large living area opening on a sea view terrace, open kitchen, dining area, office, guest lavatory, two bedrooms, bathroom, master bedroom with en-suite bathroom, laundry. 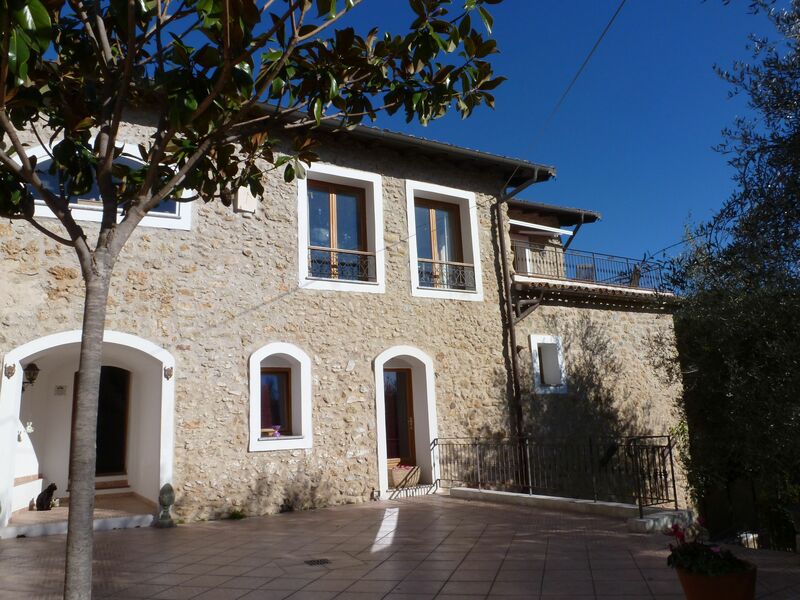 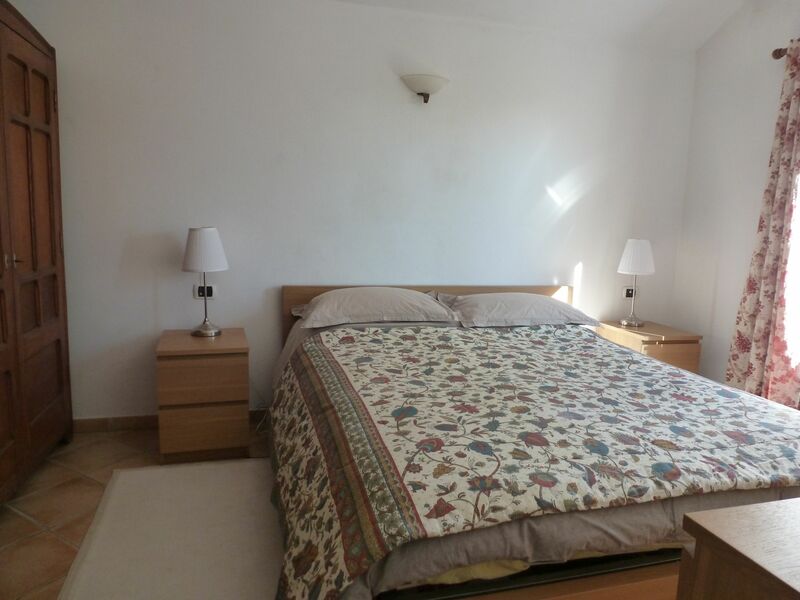 The house includes a guest apartment of two bedrooms, kitchen, bathroom and terrace. 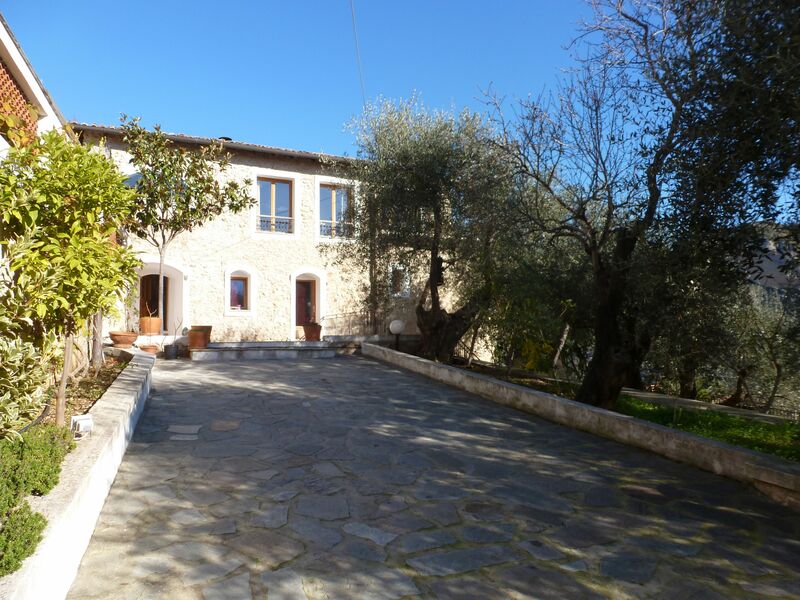 Approx 15m2 of cellars and storage space, parking for 6 cars.